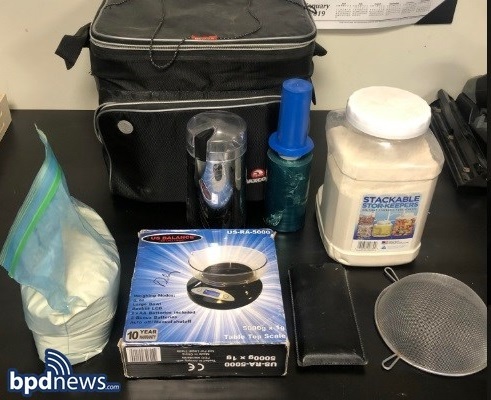 At about 9:18 AM on Thursday, January 31, 2019, officers assigned to District E-13 Drug Control Unit (Jamaica Plain) and District C-6 Drug Control Unit (South Boston), executed a search warrant as part of an ongoing investigation in the area of 53 Forest Hills Street, Jamaica Plain. As a result of their efforts, officers were able to recover a large amount of Class A Drugs (Fentanyl), Class B Drugs (Crystal Meth), $7,000 in U.S Currency, and Drug Paraphernalia. Jorge Ramirez-Diaz, 46, of Jamaica Plain was arrested and charged with Trafficking Class A Drugs and Trafficking Class B Drugs. He will be arraigned in West Roxbury District Court.